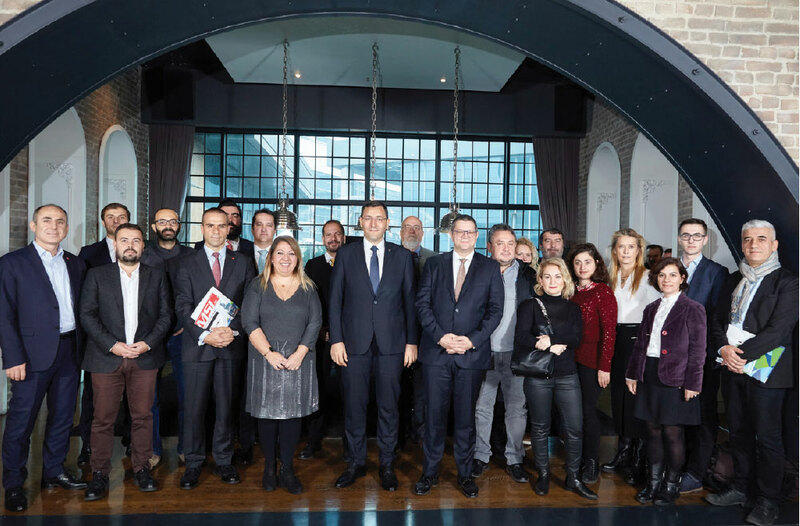 STM General Manager Murat İKİNCİ and International Strategy and Business Development Manager Onur ATEŞ met with representatives of the sector in Ankara to share STM’s 2023 vision. After the brief opening speech given by General Manager İKİNCİ, Onur ATEŞ made a short presentation about STM’s product portfolio, projects and export markets. STM delivered the Fleet Tanker, which began development in 2013, to the Pakistan Navy on October 16, 2018. Pakistani President Arif ALVI, Pakistan Defence Production Minister Zobaida JALAL, President of Defence Industries Prof. İsmail DEMIR and STM Senior Management attended the ceremony. ‘PNS Moawin’ was designed by STM (main contractor) from scratch, according to the requirements of the Pakistan Navy and was built by the Pakistani Defence Production Ministry at the Karachi Shipyard. The notable unique military cooperation between the two countries within the scope of the Fleet Tanker Project resulted in the successful construction of military ships between Pakistan and Turkey. 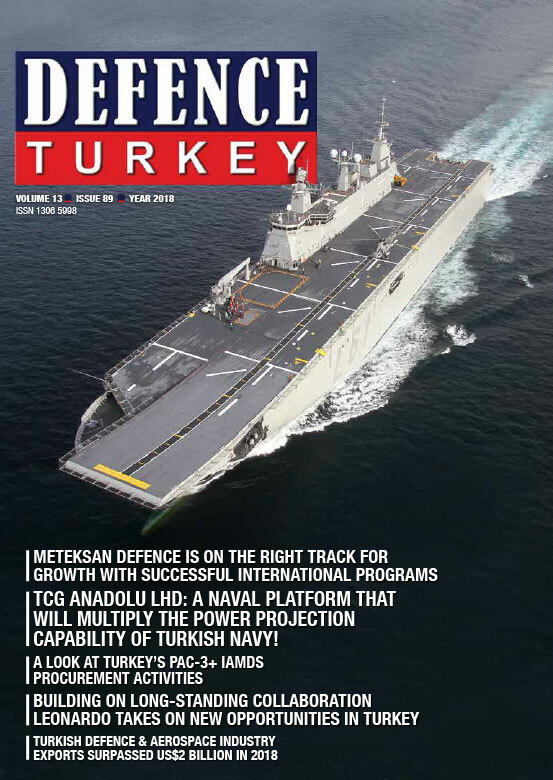 Within the scope of this project, which is one of Turkey’s most important projects in terms of military naval platform exports, more than 20 Turkish defence industry companies also had the chance to export to the Pakistani market. The Fleet tanker was developed by STM and Pakistani Naval Forces as the first ship of its class. With a weight 16,400 tons and a length of approximately 158 meters, it can reach speeds of 20 knots with two propellers that have adjustable blade angles powered by two diesel engines. With its Replenishment/Fueling-at-sea systems (RAS/FAS), the ship will support Pakistan Navy’s combat/auxiliary elements by transferring critical equipment such as fuel/water and ammunition to them at sea during operations, thus increasing their operational capability. The ship has the capability of executing day and night helicopter landing/take-offs due to its hangar and platform and also has a comprehensive infirmary. STM has also achieved major success as it was awarded the submarine modernization tender initiated by Pakistan’s Ministry of Defence Production against the company which built the submarines in 2016. STM has marked major success in being awarded the international tender that was initiated for the half-life modernization of class “Agosta 90B” submarines in the inventory of Pakistani Naval Forces; competing against the French company which designed and built the submarines themselves. Covering a total of 3 submarine modernization orders; 1 of which is confirmed in addition to 2 orders on an optional basis; the contract was signed on 22 June 2016 in Rawalpindi/Pakistan; between Pakistan’s Ministry of Defence Production and STM; under the supervision of officials from the Embassy of Pakistan in Turkey and the Presidency of Defence Industries (SSB). As part of the project regarding the modernization of class “Agosta 90B” submarines; STM entered a long, compelling competitive evaluation process with French DCNS Shipyard which undertook the designing and production operations for the aforementioned submarines. After a tendering process beginning on April 16, STM was found to be technically and commercially superior and was selected as the main contractor to sign the contract. The modernization operations are performed at a local shipyard in Pakistan. The first submarine will be delivered in 45 months. The other submarines are estimated to be modernized with 1 year in between the modernization of each. The KARGU which is developed and manufactured indigenously by STM is categorized as an autonomous rotary wing attach drone or micro UAV. It is capable of carrying three different warhead configurations, with its warhead selected through automatic target acquisition, the KARGU is capable of destroying the target marked by the operator by diving with a speed of 140 km and with the help of the warhead. Known also as the loitering precision strike munition, the man - portable KARGU can be utilized by mobile units due to its 7 kg weight and though it features fully autonomous task capability, it could be utilized by an operator due to its decision - making capability. With its fully autonomous flight capability, the KARGU is able to conduct flights without requiring GPS and with RF signals and data link, it is capable of changing targets, calling off tasks and recall functions as well. The KARGU is capable of executing operations in night and day conditions with the help of its electro optical day camera and Infrared night camera. Depending upon weather conditions the KARGU is able to fire at instant opportunity targets within a distance of 5 to 10 km from an altitude of 450 m, within 10 - 15 minutes, with less costs compared with guided munitions. This drone can self-destruct diagonally and quite close to the target and thus cause destruction in a wide area with its 1.6 kg anti-personnel warhead and with the smart fuse. It is capable of carrying thermobaric munition weighing 1.1 kg in order to cause destruction in closed spaces such as caves and buildings. In addition, according to the information we acquired, armor piercing ammunition activities for the KARGU are being conducted. Due to the image processing algorithm, targets of various types (i.e. vehicle, human being, animal) are identified on the operator’s monitor and in this way the operator distinguishes the threats and other civilian components, focusing on the actual target and fires it. 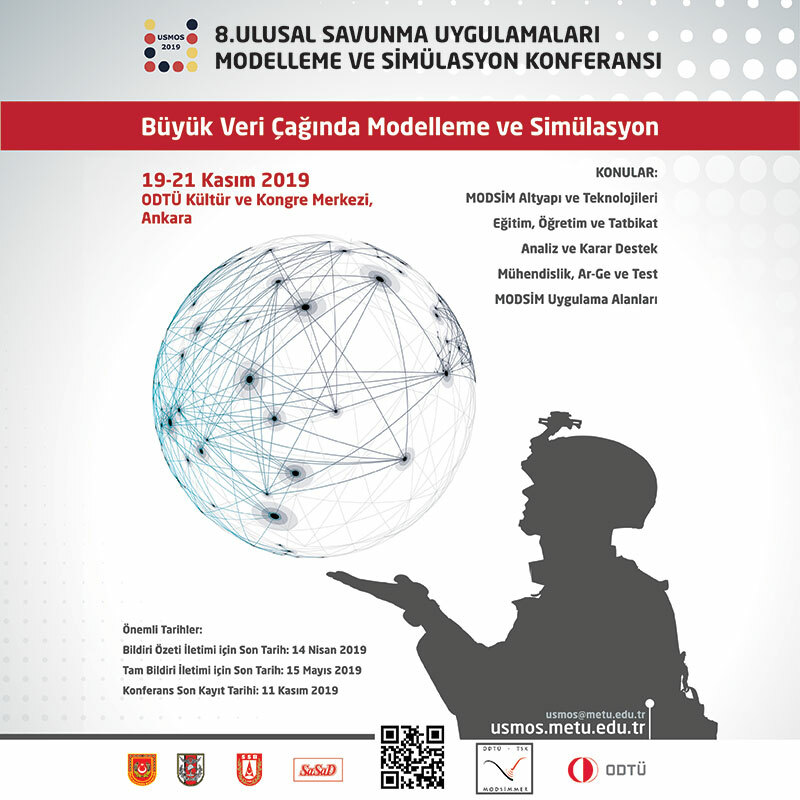 The KARGU systems were initially put into the service of the Turkish Armed Forces (TAF) in September 2018. The President of Defence Industries, Prof. İsmail DEMİR announced the delivery of 40 additional KARGU systems to the Turkish Armed Forces via twitter account on 24th December 2018. In conjunction with the new deliveries, total number of KARGU systems in the TAF’s inventory has reached 65, thus KARGU is becoming one of the most crucial munitions of the TAF at theater. In order to reveal indigenous submarine projects, one of the most complex platforms in the world, and to support the capability development in this field in Turkey, a competition in submarine design and technologies will be organized by STM under the name of Deep Quests. The competition will allow the evaluation of the creative ideas of various undergraduate and graduate students from different disciplines. University students and graduates of different departments from ship construction to physics, from psychology to industrial engineering, and people who have written a thesis in this field in the last 5 years are anticipated to attend the competition. In the competition, which will be held in two categories as Master and Bachelor, projects will be evaluated by experienced individuals in the maritime field in accordance with the criteria of innovation, creativity, achievability, aesthetic contribution, level of detail and references. The winners of the project will be awarded a monetary prize. Within the scope of the award ceremony planned to be held in October 2019, the first prize in the master’s category is 25.000 TL, the second prize is 20.000 TL and the third prize is 15.000 TL and in the bachelor’s category, the first prize will be 20.000 TL, the second prize will be 15.000 TL and the third prize will be 10.000 TL. İKİNCİ stated that they aim to increase the 15% share of export sales in total turnover to 50% and they will achieve their goal if they succeed. He also said that they expect to close 2018 with a total sales turnover of more than 3 Billion TL. İKİNCİ stated that in order to capture the targeted figures within five years, they will use the workforce of their sector partners in the most effective way, and they anticipated that their current staff positions would rise above one thousand personnel. Emphasizing that they agreed with Pakistan on the half-life modernization to the third Agosta 90B class submarine and deepened their cooperation there; İKİNCİ stated that the export activities in the naval sector continued with Pakistan and Kazakhstan in the field of cybersecurity, and they are ready for exports in the field of autonomous systems (drones). Expressing that there is an interest in Attack Drones from abroad, İKİNCİ said: “There is a significant interest for Attack Drones from the countries in the Middle East and Turkic Republics, we have performed several successful demonstrations there with positive results and we are expecting export orders. We can even say that we are in the process of specifying numbers. I believe we will inform you in a very short time when these sales are completed.